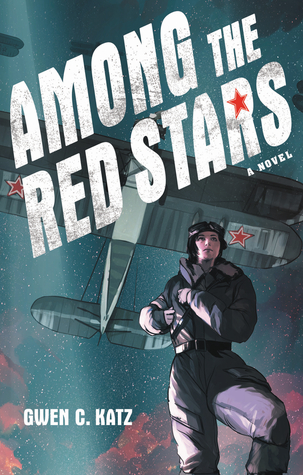 Brittany's Book Rambles: What Inspired Among the Red Stars—A Guest Post by Gwen Katz! What Inspired Among the Red Stars—A Guest Post by Gwen Katz! 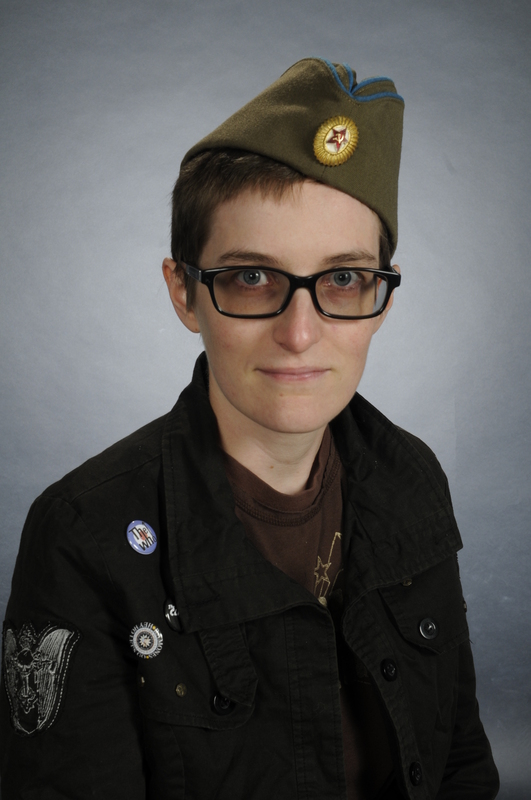 Gwen C. Katz is a writer, artist, game designer, and retired mad scientist easily identified by her crew cut and ability to cause trouble. Originally from Seattle, she now lives in Altadena, CA with her husband and a revolving door of transient mammals. She is represented by Thao Le of Sandra Dijkstra Literary Agency. Among the Red Stars began, as all great novels surely do, with a board game. It may surprise people to learn that the plot of Among the Red Stars predated the setting. It may further surprise people to learn that my background is exclusively in sci-fi/fantasy. Like a lot of kids, my exposure to historical fiction came mostly in the form of depressing required school reading like My Brother Sam Is Dead, a book which singlehandedly turned an entire generation of kids against the genre. So when I came up with the idea of a female pilot who has to rescue a male soldier, I was initially toying around with some kind of science fiction setting. I was at my in-laws' house at the time and we were playing Wings of War. My father-in-law is a war aviation buff so dedicated that he repainted the miniature planes that came with the game to have more historically accurate liveries. The game is obviously more fun if you name your fighter ace, which led me to ask if any female pilots had fought in the world wars, and if so, which country they had fought for. Like many of you, I was utterly surprised to find out that yes, women had flown in combat during both world wars, both times on the side of the Russians. A fact like that demands Googling. It took about half a Wikipedia article for me to decide that someone desperately needed to write a novel about these women. My rescue plot immediately suggested itself as an obvious fit. It was at this point that I made my big mistake. Within days, he had informed every member of our family as well as every aviation enthusiast in the greater bay area about his daughter-in-law's book, of which precisely zero words existed at that point. I was faced with two choices: Either go around and inform everyone that no, it wasn't happening, or just write the thing. Omg yes, it must be on your TBR! And I love Stalking Jack the Ripper! Ever since I saw this Among the Red Stars on your WOW post I've been SO excited for it. It's going to be a must-read for me! Wow that's a pretty cool way to get inspired :P it looks absolutely amazing!! Thanks for sharing this interview :)! Right?! I'm glad you enjoyed it, thanks for stopping by! Yay!!! I hope you love it. And this is probably one of the best inspiration stories I've ever heard haha. I think your WOW was probably the first I'd heard of this. It sounds vaguely along the lines of Code Name Verity, in a good way. My recent historical fiction that I loved was the conclusion to the Forbidden series, Returned. I'm glad I got this book on your radar! I haven't read Code Name Verity but I hope you like Among the Red Stars. Oh that is one way to get you to stop procrastinating and just go for it. 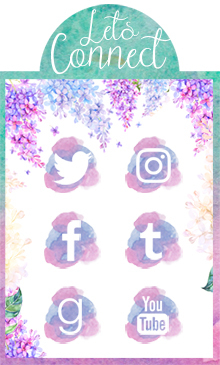 :) Love the inspiration post! Definitely! Glad you enjoyed this post, and I hope Among the Red Stars is on your TBR! This sounds like such an amazing read - I haven't heard of it before now, and I definitely will be picking up a copy when it releases! Loved reading the guest post about the inspiration for the book! Doesn't it? I'm so excited to read it. I hope we both love Among the Red Stars! Isn't it? I'm so excited to read this book, I'm shocked that no one else has written about this story yet. Oh, what a GREAT inspiration story!! And a funny one, too!! LOVED reading it!! Thanks to Gwee for sharing that! !